«©NCSX» Whenever Chocobo's out in the wild, the feathered beast generally runs, pecks, and squawks up a storm. Add one more activity to Chocobo's to-do list: reading. In the recent NDS Chocobo to Mahou no Ehon game, a magic book was the source of Chocobo's woes as well as its eventual salvation. 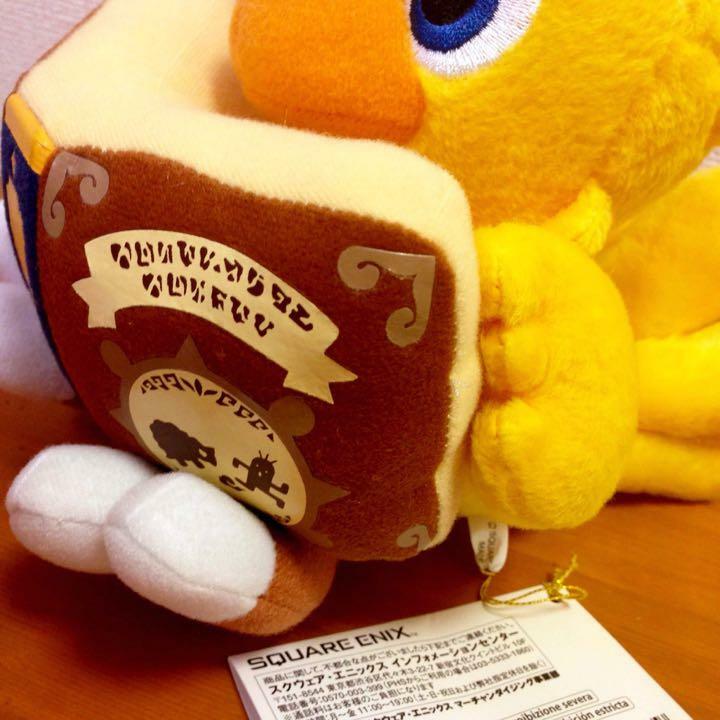 With Square Enix's new Chocobo plush, the big bird apparently enjoys reading from a magic book of spells. 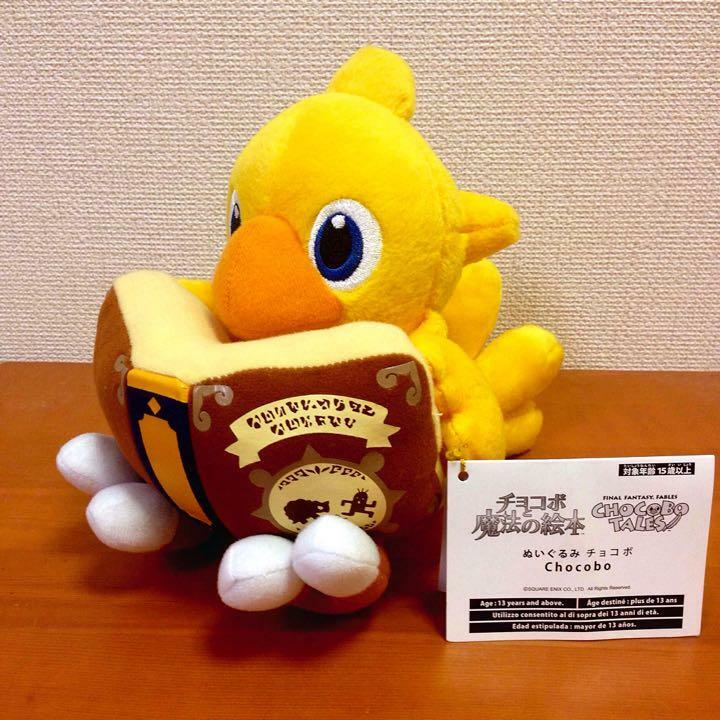 Measuring 18cm tall, Chocobo kicks out its legs and uses them as a book holder to prop up the thick tome. By using its wingtips, Chocobo flips through the pages of the volume to find the spell that it needs to cast. If you push aside Choc's left talon, you'll see that the cover of the book shows Sabotender running away from a horned creature of some sort. 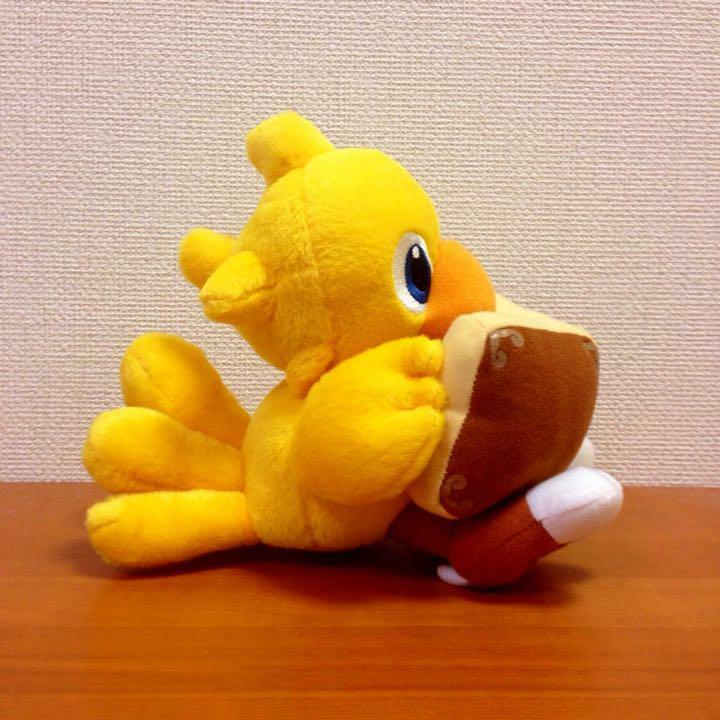 The Chocobo plush measures 18cm or 7.08" tall from the bottom of its talons to the top feather on its head. Furthermore, Chocobo measures 19cm or 7.50" from beak to tail feathers. If you count the book in front of Chocobo, add another 1.20cm or 0.50" to its length. This document is ©NCSX 2008, 2009. All rights reserved. No reproduction in whole or in part of this document may be made without express written consent of National Console Support, Inc.
Chocobo's friend Shido (Cid) is a masterful writer who has created a world with words and pictures that children around the world are enamored with. Gamers who are well schooled in the ways of the Fushigi no Dungeon games from Enix will find the format of the latest Chocobo Dungeon familiar. The Chocobo Fushigi no Dungeon line-up of games made the yellow-feathered Chocobo a superstar in Japan. With stardom comes merchandising. Lots of merchandising.